Everyone working with websites knows that to keep ahead with current trends you have to keep learning new skills. By now it’s a cliche – “Never Stop Learning”. This is also true to web design skills, that keep changing and evolving. The problem with learning new design skills is that most designers are constantly busy, and use the “learn as you go” method, instead of devoting time just for learning. “Learn as you go” is great, but there’s an even better way to keep improving your design skills. If you only learn from difficulties you run into, you most probably will stick to a fixed skill set. I’m suggesting a different method: Learn new design skill by getting inspiration from other designer resources, and incorporating these skills in your daily routine. So let’s see which resources and tools are recommended for the purpose of design skill improvement. Muzli will let you in into the deepest circle of the best designers in the world, a privilege that was held, until now, only to designers that were in that circle. The genius of Muzli is in the transformation of content: Muzli has no text, mostly images. Through this site you’ll get references to the most interesting designs published all over the web. Muzli also has a great chrome extension that brings the designs straight to what used to be your blank chrome tab. Every time you open a new tab you’ll see the best of what Muzli has to offer. Because it doesn’t have text, Muzli makes you fall in love with design without designating any time for inspiration. I like to visit Muzli first thing in the morning. I like to get inspired first thing in the morning, to cheer me up and get the creative juices flowing. Also, after doing a strenuous task, it’s great to wind down with really great design inspiration. 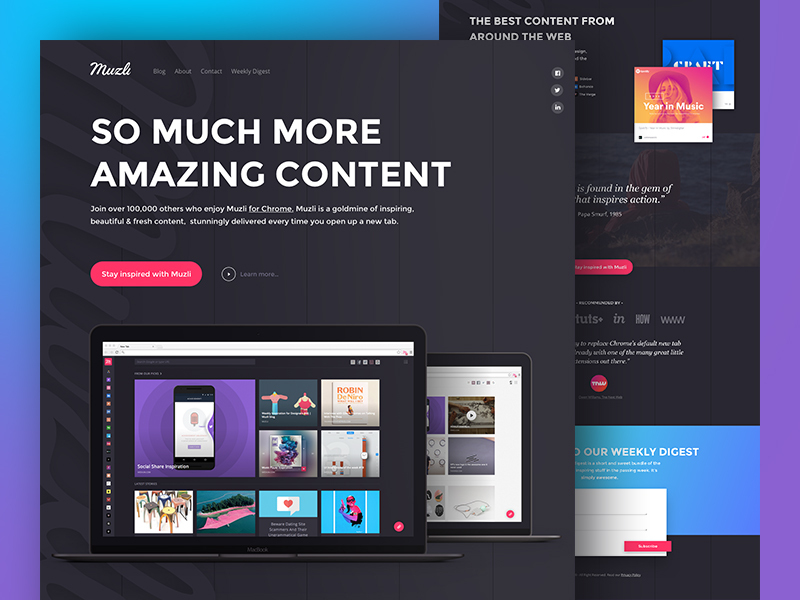 The best sites that display designer’s works are Dribbble and Behance. My personal favorite of the two is Dribbble. The site’s design and UI is in itself an inspiration. I search what I need, like mascot inspiration for example. Or Landing pages. I quickly sift through the various designers, and follow the ones I love. This is the original part – I go see who the designers I liked follow. The masters probably follow other masters, maybe even better masters, right? This way I follow the top designers, and can quickly get inspiration and ideas from my personal homepage at Dribbble. I go to these sites just before doing a task. By filtering and searching for the exact element I’m working on, I am able to get inspiration that is just right. This way I can find footer designs before creating a footer, or contact pages before creating a contact page. As design gets more and more simplistic and minimalistic, color gets even more important. I consider myself a rather original person, but in the field of colors, for some reason I don’t have any motivation to get creative. Maybe some will disagree, but I don’t like to decide on hue, saturation, contrast etc. This is why I love Design Seeds. They do all the hard work of choosing colors for me. And somehow, they know exactly which colors I’ll like. In this site you get a daily supply of beautiful images, and with each image you also get the corresponding color palette. Another useful tool is Coolors. Press spacebar and generate different color palettes, that fit neatly into a 5 column grid. Here you get more control, and can lock and manipulate any of the 5 colors. Having the colors side by side like that, helps to feel if they are the right fit and decide on your own palette. 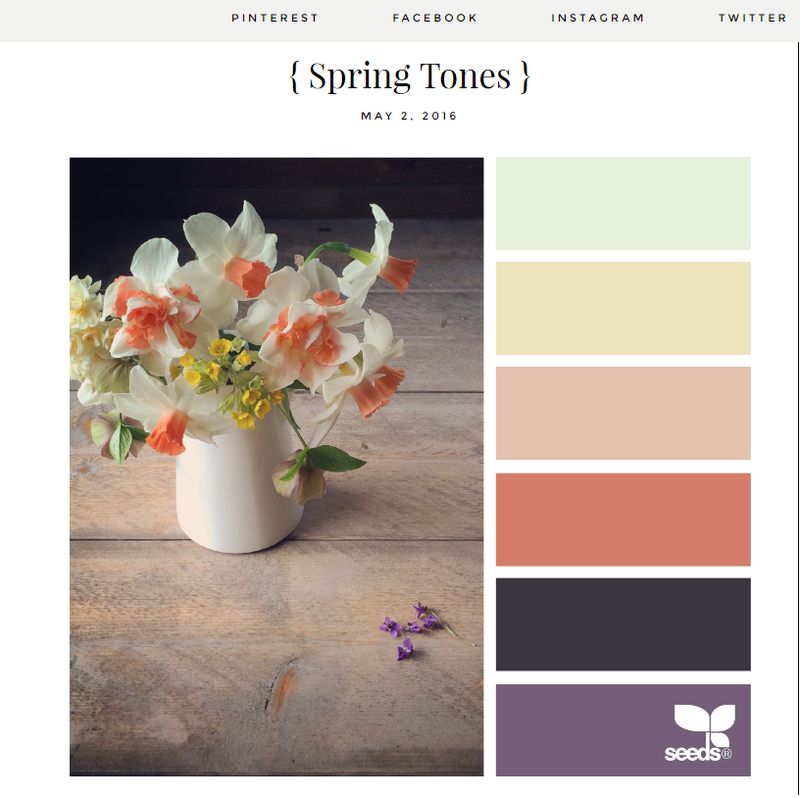 It’s obvious that the best time to get color inspiration is before you need to choose a palette, but in fact I like to visit this site from time to time, just to watch the beautiful images. It’s also quite relaxing. 4. Design inspiration from top online businesses. The most successful online brands are usually the first to follow design trends, and that’s why I find them a great source of design inspiration. It’s important to note, I am not recommending simply copying big brands. The difference between getting inspired VS. copying designs lays in what you are taking from the design. In other words, it matters if you do a simple “copy > paste”, or if you do “Copy > Filter and Alter > Paste”. For example, if you see a beautiful landing page, and create a perfect duplicate of this page, just changing the text and logo to fit your brand, that’s just stealing. If, on the other hand, you analyze the landing page, understand what elements you like about it, and adapt it to fit your site and brand, that’s getting inspired. Getting inspired is a great way to improve because the process of trying to understand why a design works is like reverse engineering. I treat these brands as if they were superstars, and I was their groupy. I subscribe to their blog, watch for changes in their homepage, constantly mention them to strangers and friends. There is no one time that I visit them to get inspiration, it’s more of an ‘any time I can’ situation. I know, I know, Canva is a tool more directed at novice designers. Most pros use Photoshop or Illustrator. Nevertheless, Canva has a great blog to learn from, both for novice and pro designers. It’s great because of its simplicity. The blog dissects design to the very basic elements, and this can be a great reminder even if you already learned the subject in design school. 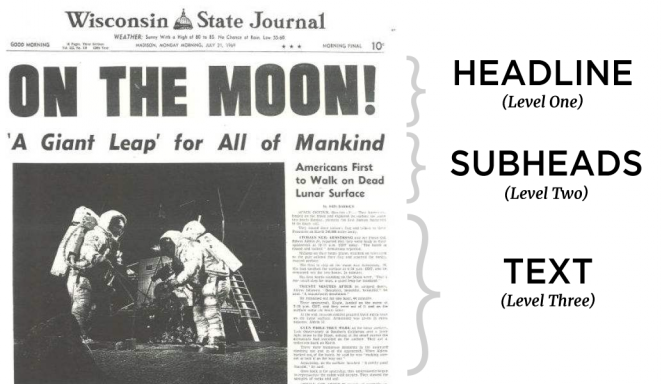 For example, there’s a great article about typographical hierarchy. They have an always updating blog full of amazingly easy and interactive tutorials. I love their school because it goes to the very basic of basics. Canva’s blog is ranked pretty well on Google, so many times I stumble upon their content after performing an unrelated search. Conversion is a topic designers are getting more and more interested in. The video series that Unbounce made deals specifically with how to improve conversion for landing pages, and is a really fun way to learn more about how to reach more conversions through design. 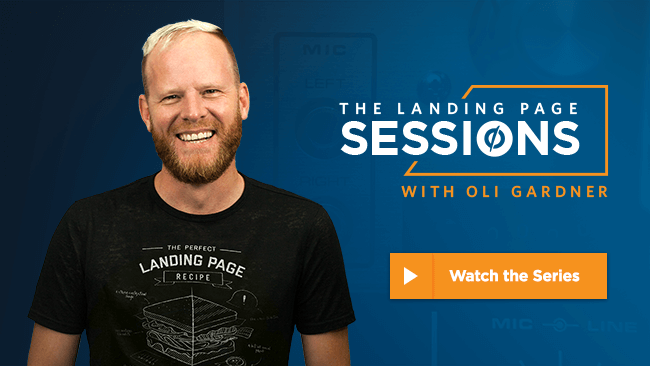 In these video series, Oli Gardner, founder of Unbounce, analyzes different landing pages and shows how to improve them. It’s much more fun to learn this way, because you are seeing exactly how to do it, instead of learning theoretical design guidelines from books. You can watch this series when you’re dealing with improving conversion. This is also a great video series to watch on the train on the way to work. If we’re on the subject of design videos, there’s a great vlog called Flux, that is a great resource to learn about design. The series has a very spontaneous and improvised feel, but still gives great tips and insights on design. It’s like spending a day with a designer. The Flux videos are short and fun to watch, so it really does not interrupt with the daily routine. I ussually watch it at X1.5 speed, so I go through these videos even faster. Different niches have different styles and designs. There is no manual that explain what are the standards to design for a certain niche, yet you aren’t likely to see a website for premium watches designed with bright yellow and pink colors. To be able to learn the standards for the niche project at hand, it is recommended to do the research and examine as many beautiful website designs for that niche. If, for example, you get hired to design a restaurant website, you can find a curated post that shows a collection of restaurant sites, such as this post on Awwwards. Sometimes the design project you get to work on are just not challenging enough. There’s a great exercise you can do, that can also serve as a fun break from the daily workload. 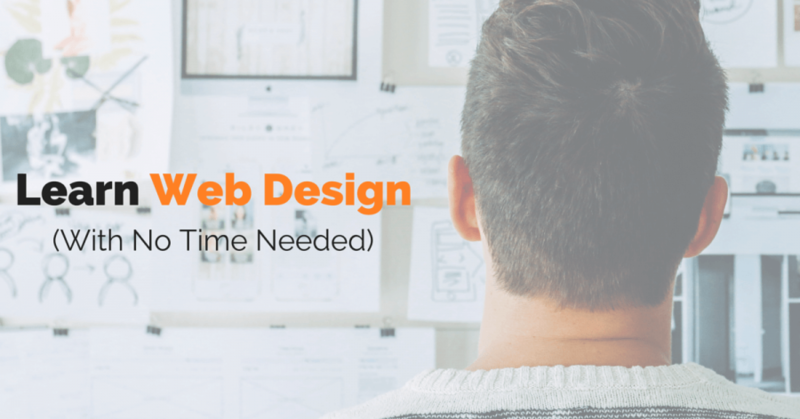 In the previous points we’ve mentioned great sources to find inspiring website designs. Instead of just mentally thinking how they are built, why not try to recreate them, using a page builder. On section 4 we’ve mentioned that doing a straight up copy paste was stealing, but as long as you are copying it for the exercise, and not publishing the result, it not stealing. Trying to copy a nice looking design will also point you to your weaker points, where you need to invest more time and energy on improving. We are going to release our own page builder, called Elementor, really soon. In the meantime you can try out our alpha version and help us improve it before the launch. The resources mentioned above are based on the concept of implicit learning . Implicit learning means to learn in an incidental manner, without being aware of what exactly has been learned. I think that’s a much better way to learn because you are not memorizing rules and ideas, but instead surround yourself with resources that still teach you valuable and actionable guidelines. Have I forgot to mention a resource that you think is great for design skill improvement? Please let me know about it in the comments. As if it would be so simple. I’m a web-designer now for almost 20 years and still struggle with it. Apart from that. If you do all of the suggested things, you would need PLENTY of time. You don’t have to do them all. Try them for a short while and see which ones work for you. I am only beginner in web design, your blog gives a lot of useful advice. Thanks!